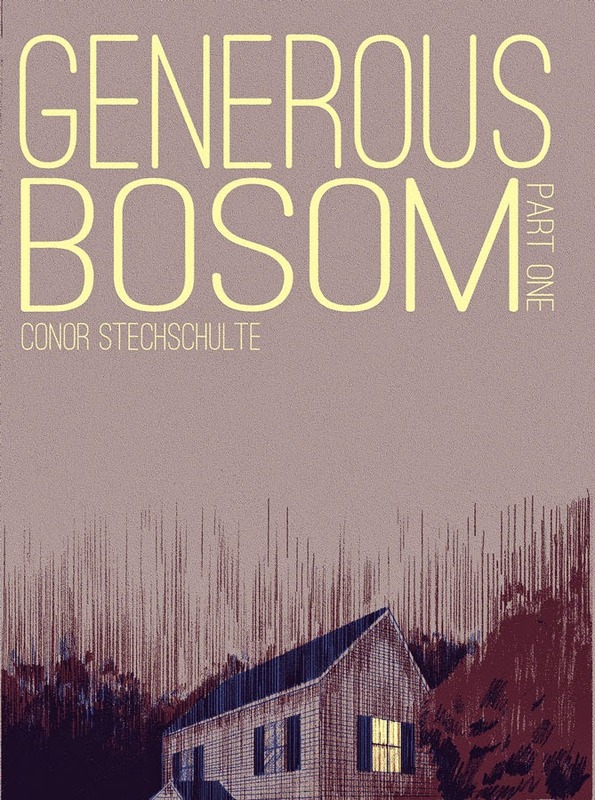 After many months, my friend Jason Sacks finally got me to put words to my unclear thoughts concerning Conor Stechschulte's brilliant new book GENEROUS BOSOM part one. Think of something aesthetically profound as the thermal plate. Think of your response to it as the ink. That response, being forced through the voids in the plate as it is, does not make for a lucid response. Something else ends up happening and a writer is left with little other than writing about his or her inability to write anything at all. Joyce Carol Oates once said, “The first sentence can’t be written until the final sentence is written.” With Generous Bosom, though, because of its pull, I’m trapped in this Risograph Effect.